August 4th saw a large turnout of participants attend the Brubaker Families of America annual reunion. Between 80 and 90 people were in attendance, with visitors from a variety of locales and as far away as Minnesota and Arizona. 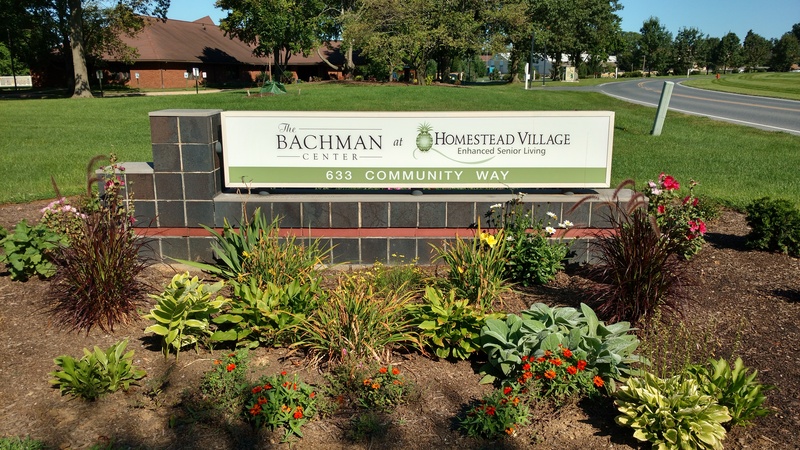 Held annually on the land of the original property patented and warranted from William Penn to Hans Brubaker, this year’s reunion was for the first time in many years held on a Saturday instead of Sunday, at Bachman Hall, on the campus of Homestead Village. On display were tables with various Brubacher-Brubaker family trees, memorabilia, merchandise, photos, and such; including an online station showing the Family Association website. Our featured speaker this year was Amos L. Brubaker of the ‘A’ and ‘D’ lines of the Brubaker family, who shared about the life and times of his grandfather, Landis H. Brubaker. He and his family left Lancaster County in 1976 for Ewing, Illinois. He and his family have a large farming operation outside of Ina, Illinois. Amos Landis & Theresa Ramer Brubaker. Amos Landis Brubaker was born in Lancaster, PA, in 1946. His name came from the names of his grandfathers, Amos Brubaker Charles, and Landis Hess Brubaker, of whom he spoke of at the event. 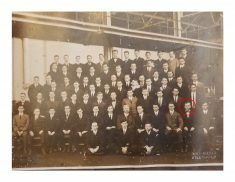 He attended the same Sunday School and church– Rohrerstown Mennonite, that his grandparents attended. This gave him a lot of contact with his grandparents when they were still in an active time of their lives. In 1968, Amos started a two year term of voluntary service at the Danville, PA, V.S. (Voluntary Service) Unit. He also worked at Geisinger Medical Center in Danville until May of 1970. While he served at Geisinger he began a courtship with a young nurse who he eventually married, Theresa Ramer. After getting married and completing his V.S. 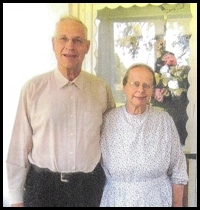 term in 1970, Amos and Theresa lived in Northumberland, PA, while he worked for a local farming operation. In 1972 they started farming on their own and raising a family near Richfield, Juniata County, PA, until 1976. It was because of his V.S. roommate that Amos was exposed to farming in the Midwest, and in 1976 Amos, Theresa, and their growing family moved to Ewing, IL to farm. Today their oldest son is in charge of a farming operation that includes grain production, and contract hog and turkey production. Ohio State University Class of 1913. Landis H. Brubaker is second from the right, front row. Amos’ interest in Brubaker history is a direct result of the influence of his Grandfather, Landis. 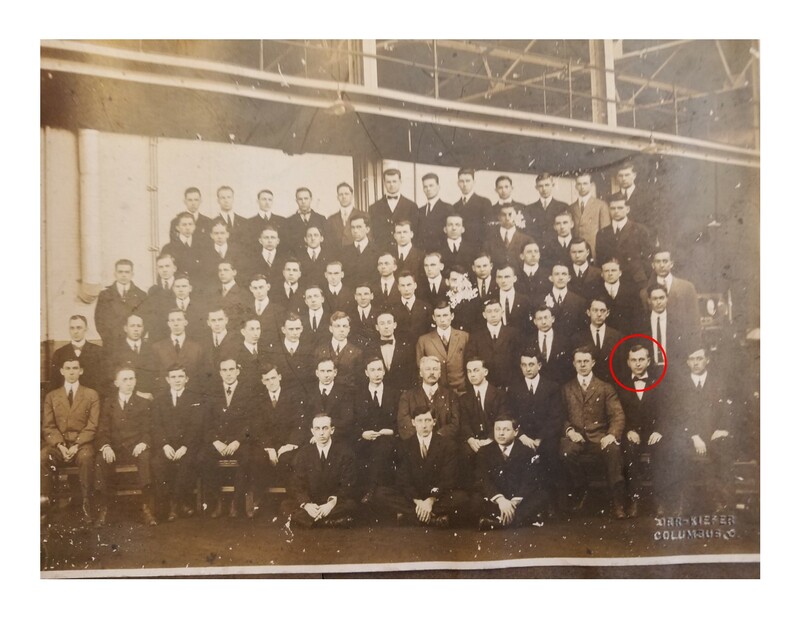 While Landis was a farmer, he was actively engaged in many other pursuits, including electrical engineering and electricity. In addition to farming he worked as an electrician. He also was a Deacon in the Mennonite Church; a historian and author, of which many of his works can be found at the Lancaster Mennonite Historical Society and the Juniata Mennonite Historical Center. 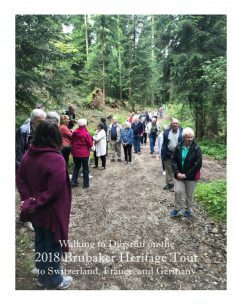 We also heard from cousin Lois Ann Mast who shared about the June tour of the ancestral Brubaker homelands in Switzerland. 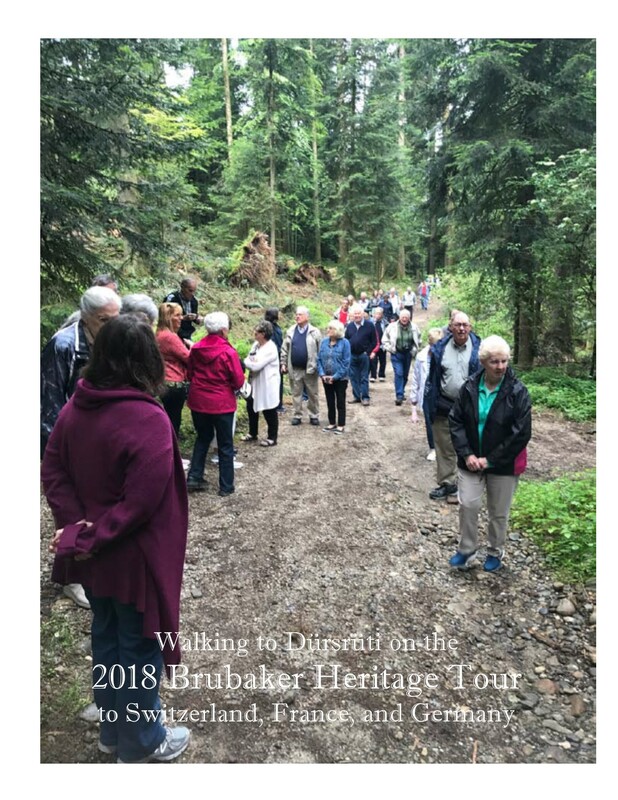 Almost four dozen Brubaker cousins traveled and toured together, visiting ancestral sites in Switzerland, mainly around areas outside of Zurich. A video presentation of the trip is available for anyone interested in purchasing it for $25. If you are interested, contact us by email. The tour booklet is available from Masthof Press for $10. They also can be contacted by email if you are interested in purchasing the tour booklet. Family Historian Elaine Renkin spoke about and gave tips on conducting a genealogy search project, including sharing anecdotes of some of her more challenging situations, such as when there are multiple married couples with the same names, but are different people who live in different areas. The challenge is to be sure to research deeply enough so as to get them assigned in the correct family tree. Be sure to mark your calendar for next year, Saturday August 3rd, 2019 for our 97th annual Brubaker Family Reunion!